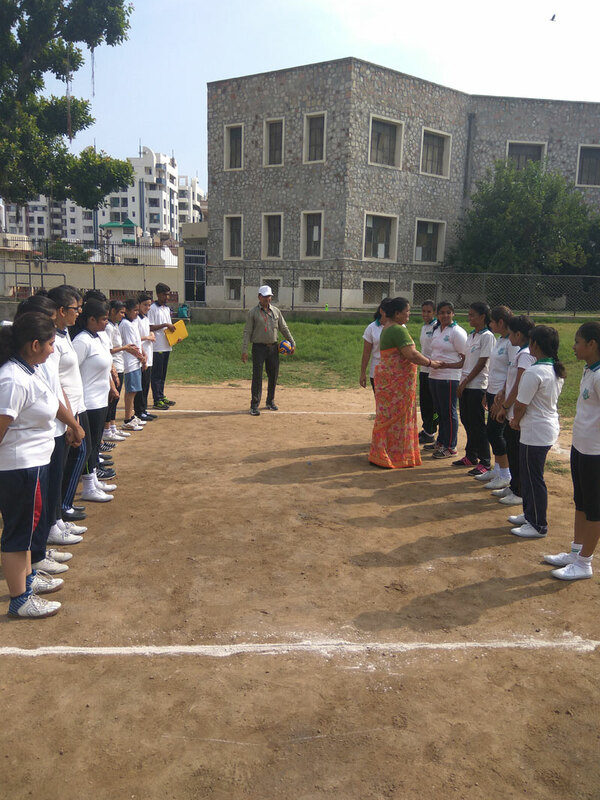 conducted the games with following rules &amp; regulations:-. 1. No athlete will be allowed to participate in more than one track event and one field event. 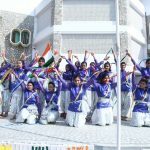 However there will be no restriction on their participation in relay races. 2. One student from each house will be selected for each event in each category. 6. Each house will submit the events-wise/games- wise lists of participants latest by 15 th July 2017 after conducting the trial of students. 7. Once the entry is received changes will not be permitted. the Principal’s decision shall be final and binding upon all. 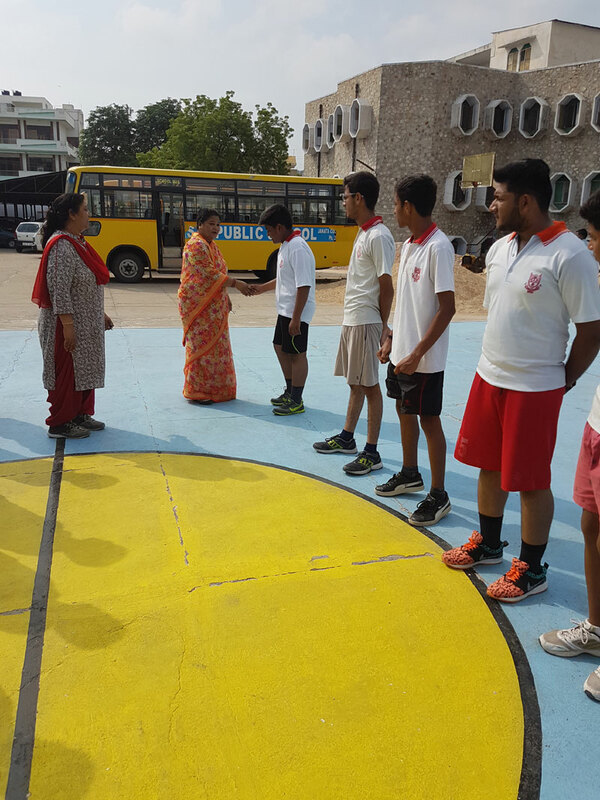 Madam Principal Ms. Saroj Singh at Volleyball court. 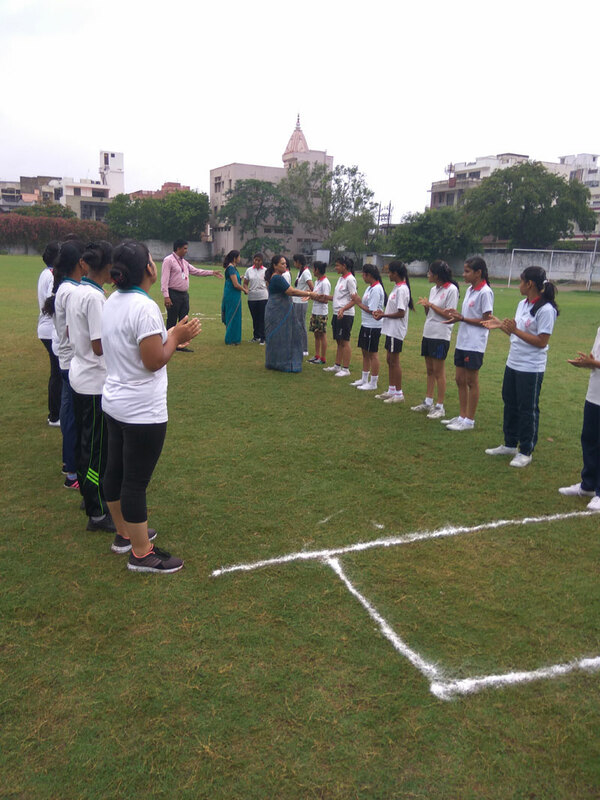 The match won by Shivaji House. By 2-0. 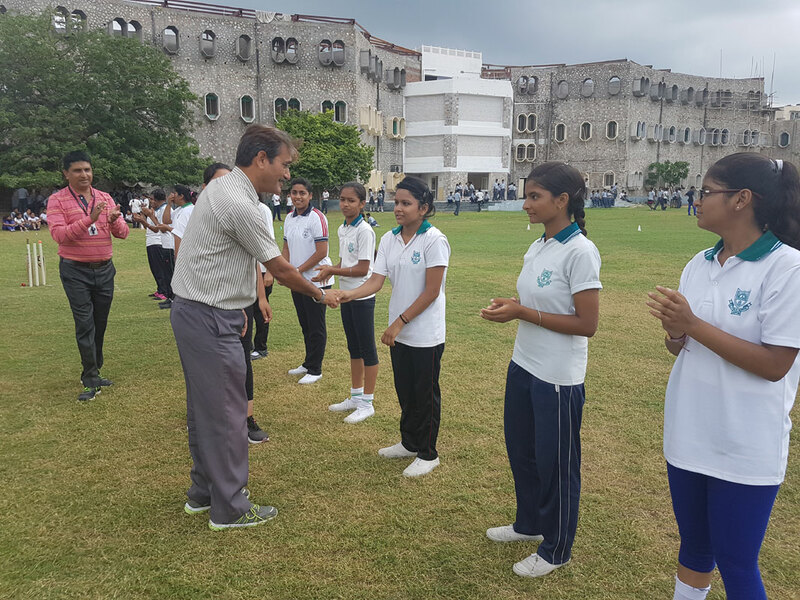 2017 in which the Tagore House girls won the match. 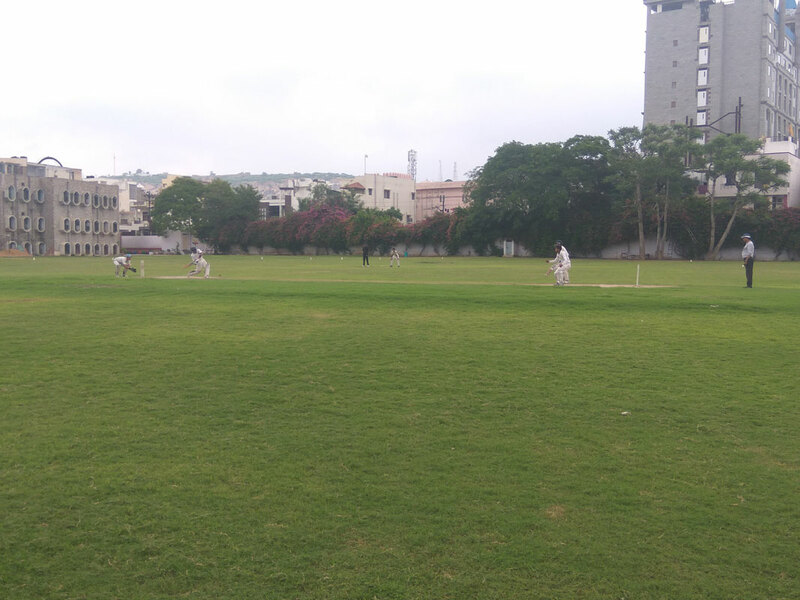 between Shivaji House v/s Tagore House in which the Tagore House boys won the match. 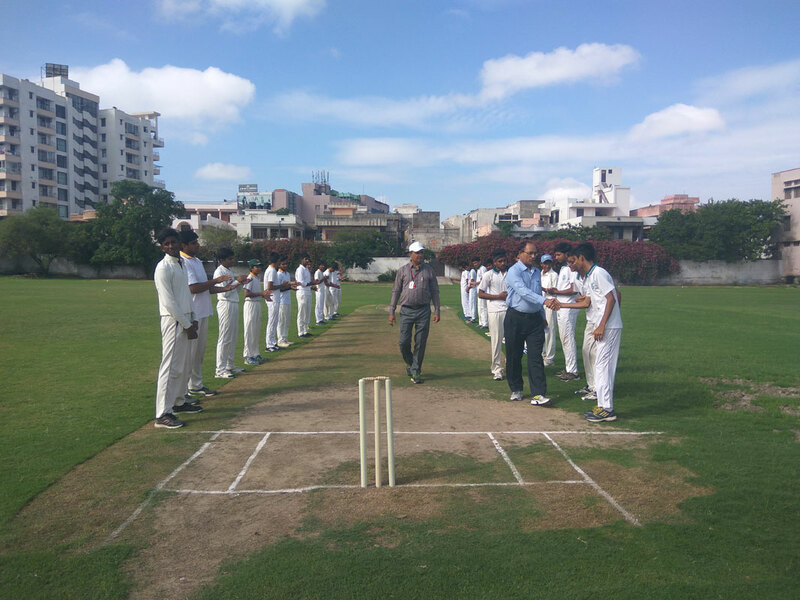 House on 22-07- 2017 in which the Shivaji House won the match by 04-02. 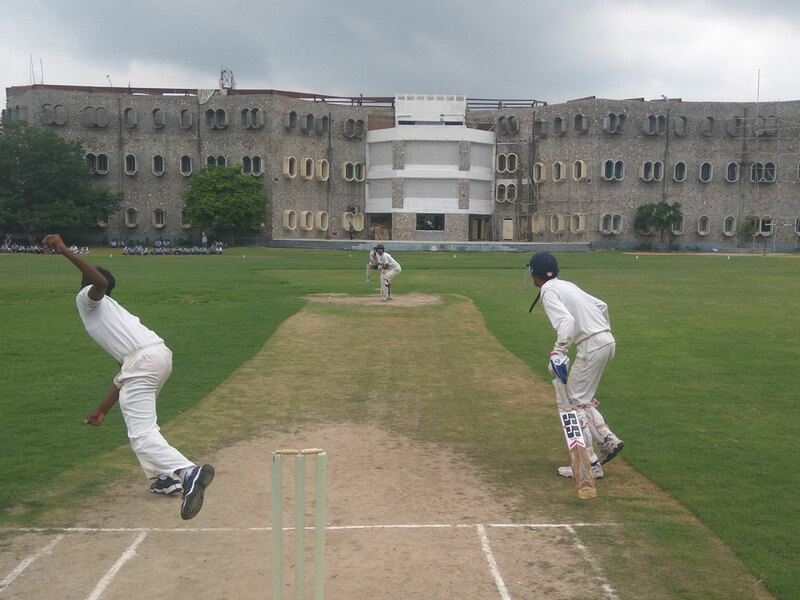 Raman House on 28-07- 2017 in which the Shivaji House won the match by 10 wickets. 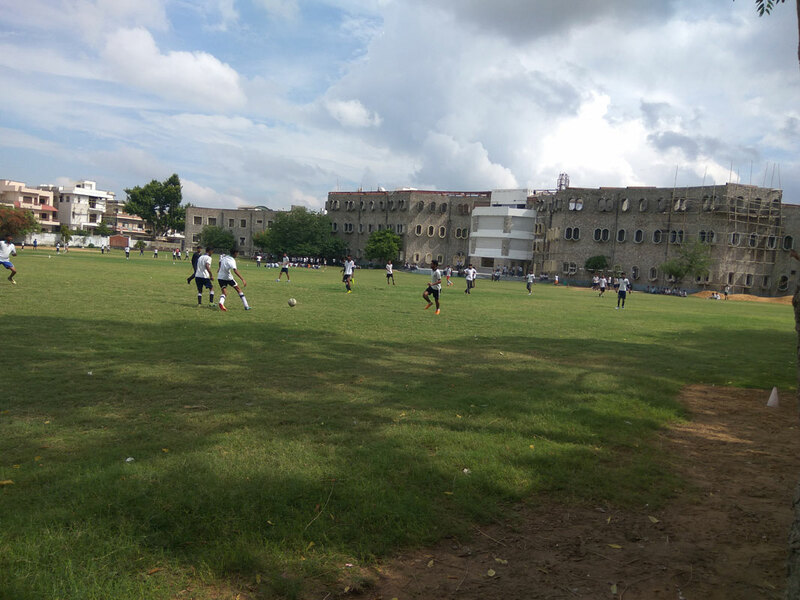 Conclusive Remark: Total 21 matches played on SJPS ground from 17-07- 2017 to 28-07- 2017.
which gets the highest points of Games &amp; Sports, March past performance etc.The Annual Function.